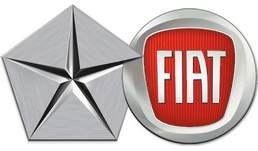 MILAN -- Fiat reported strong fourth-quarter profit on Wednesday, boosted by growth at Chrysler Group, the U.S. carmaker controlled by the Italian company. Earnings before interest, taxes and one-time items, which Fiat calls trading profit, more than doubled to 765 million euros ($1 billion) from 319 million euros a year earlier, the carmaker said in a statement. Profit was estimated to reach 759 million euros, according to the average estimate of 16 analysts surveyed by Bloomberg. Revenue also more than doubled to 19.6 billion euros. Sergio Marchionne, CEO of both automakers, forecast 2012 profit will increase to 4.5 billion euros from 2.39 billion euros last year on the strength of Chrysler's earnings, which have been consolidated into Fiat's results since June. That compares with a 3.24 billion-euro estimate for next year from 15 analysts. Chrysler, which posted its first profit last year since emerging from bankruptcy in 2009, has been offsetting Fiat's slumping fortunes in Europe, where annual losses are estimated at 800 million euros. "It has been a long-time between profits in Europe for the majority of Europe's mass-market carmakers, VW aside," Michael Tyndall, an analyst at Barclays Capital in London, said in a note to investors Jan. 19. Shares of Fiat have gained 35 percent in 2012, valuing the carmaker at 6 billion euros. Chrysler reported earlier on Wednesday that it earned $734 million in net income last year, excluding costs associated with paying back U.S. and Canadian government loans, beating the forecast that it raised to $600 million in October. Net income may double to about $1.5 billion in 2012 as sales climb 18 percent to $65 billion, the U.S. automaker said. Marchionne, who aims to merge Fiat with Chrysler by 2015 and boost revenue to more than 100 billion euros in 2014, is looking for a third partner in Europe to increase efficiencies and cut development costs in an effort to end the losses. Fiat, which owns 58.5 percent of Chrysler, is willing to participate in an industry consolidation in Europe to compete with Volkswagen, the region's biggest carmaker, Marchionne said last month. Fiat led a decline in auto sales in Europe last year with a 12 percent slump to 947,786 vehicles, according to the European Automobile Manufacturers' Association in Brussels. Fiat-Chrysler's net debt at the end of 2012 was 5.5 billion euros and Fiat expects this amount to increase to as much as 6 billion euros in 2012. "Net debt is a key concern," Stuart Pearson, a Morgan Stanley analyst in London, said in a note to investors Jan. 24. To create the necessary car-making efficiencies, automotive groups need to build from 8 million to 10 million vehicles a year, Marchionne, 59, said in January in Detroit. Currently only General Motors, VW and Toyota are producing at or near that level. Fiat and Chrysler sold about half that figure last year. Marchionne's renewed interest in teaming up with another company comes as he considers lowering his 2014 sales target to 5.7 million cars from a previous forecast of 5.9 million. Fiat may globally lose 500,000 vehicle sales annually as a result of the European debt crisis, he said last month.